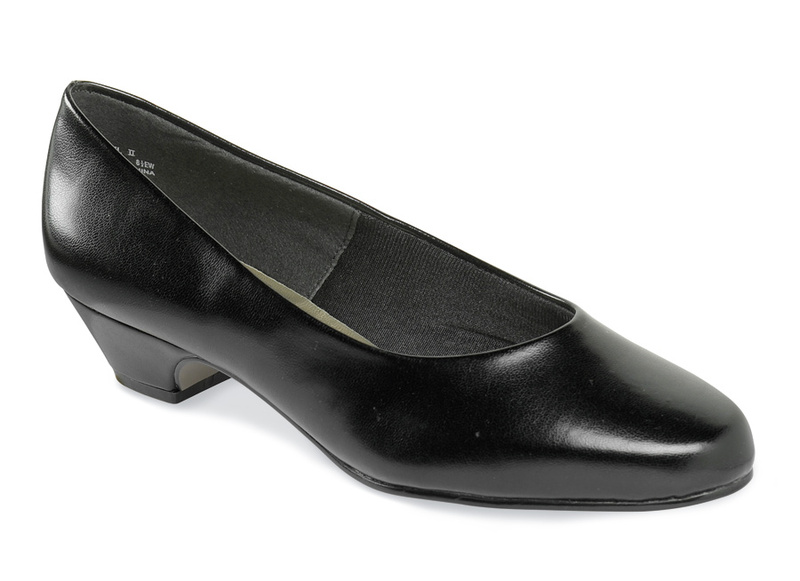 Sleekly elegant, Hush Puppies’ Soft Style “Angel II Black Elegance” low-heel dress pump of smooth black leather is lined with foam-backed tricot for comfort and is deeply padded with foam underfoot. 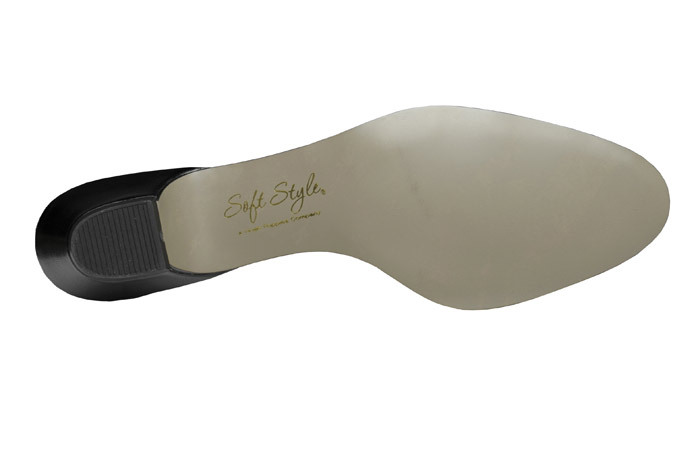 The wrapped heel has 1¼” height. Women’s sizes 6–10 and 11 in EW width.